TW: Whoa, is that what I think that is? TA: Uh, you mean the recording thing? TW: It’s more than that! That, sir, is a classic “Radio Shack Voice Actuated Desktop Cassette Tape Recorder CTR-67 Model 14-1152!” Where’d you get your hands on a beauty like that?! TA: Can you stop interrupting the log now? RB: Forgive me, sir, for interrupting, but I don’t believe I have a copy of, uh, the… the bulleted briefing… you just mentioned… now. TA: Sweet mercy. How did you end up being my number-two again? MB: Oh my gosh. Grow up, dude. He meant his right-hand man. TW: Uh, that would be right-hand woman. HE: Whatever. Here, I’ll share mine. TA: Y’all just shut up for a second so I can put this one in the books? Ahem. I shall now summarize the contents of the bulleted report for the sake of the conciseness of this log… and because I’m running out of space on this tape. This new operation is to take precedence above all current missions as it is imperative to the well-being and security of Kirby High School and to the strengthening of the school’s unsteady armistice with Wheeler Academy. “The Initiative” is to initially act as a program to recruit a group of remarkable teenagers, to see if they can become something more… to see if they can work together when we need them to fight the battles we can’t fight. TA: Now, here are each of your specific duties. First, [TW], you are to oversee “The Initiative,” and report to me. HE: Sounds like more paperwork for you. TA: Second, [RB], while maintaining your position as a recruitment officer for other F.O.L.D. agents, I would like you to double-down your work on enlisting “the Consultant.” He’s made quite a stir in Kirby as of recently. He just might be exactly what 2K-Alpha needs right now. TA: Third, [MB], as you are now transferring to Wheeler Academy as a student, I also need to allocate your position to the F.O.L.D. branch at Wheeler. MB: Sounds alright to me. TA: That also means that you will have to infiltrate into the high-level cliques in order to be aware of the secret goings-on at Wheeler. MB: You mean those narcissist blondes and their dumb jock boyfriends? I hate that kind of people. HE: Oh, please, you’ve been breaking boys’ hearts since fifth grade, dating nearly every one of the kids on Kirby High’s basketball team. Believe me, you’ll fit right in. MB: I hate your guts. TA: On the bright side, that makes a perfect Segway to my fourth point: I’m keeping [HE] at Kirby as a trainer for our incoming members of “The Initiative.” Finally, I can split you two up. You’re always bickering and driving me crazy. TA: Alright, that seems to be everything on the docket. [TW], can you transcribe this recording onto paper later? I need to put my signature on a hardcopy for the files. TW: Of course, sir. Would you like to me to redact all of the confidential names mentioned and substitute them with each person’s respective code initials, as you usually prefer? TA: Yes. However, I would like you to keep the following closing statement exactly as stated. Ready? TA: I, Trenton Adams the Third, Director of F.O.L.D. as of the current date, do solemnly confirm and seal this classified briefing, as recorded in the Director’s Log. 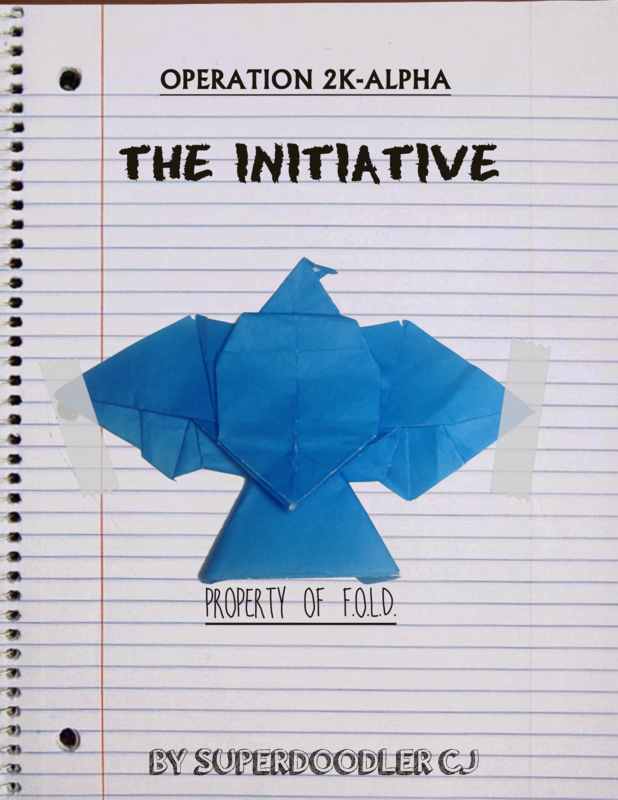 “The Initiative” is now active. God bless F.O.L.D. and Kirby High School. Log over. Cj .. . WHYED YA HAFTA MOVE THIS!!?!!!?!?! THERE WERE A BUNCHA GREAT COMMENTS ON THEIR!!!?!?!??!! Chillout, man. Just wanted to clear up the home page from too many posts. Thought this would be a good spot to put it. oh, and did you reply to the battle between us on “next mou story confirmed”? DUTCHROCKS STARTED IT. I DON’T HAVE TO APOLOGIZE FOR NOTHIN’. I just subscribed to the subreddit called r/inthesoulstone. Guess what it’s about? And, sorry man. I couldn’t have no control over the snap. Alright, man. First reference: TOMMY’S MOM IS A TEACHER AT WHEELER! Dude, I told you, TOMMY’S MOM IS THE LA TEACHER AT WHEELER! Other one: The A.V. Teacher was fired. She was transferred to a little school called McQuarrie Middle School! Oh, yeah, I really want to play that game because it looks fun, and I got a PS4 for my 11th birthday, which was last month. I have Battlefront II and Gundam Versus. I’m gonna get Bendy, and If you’re wondering, I don’t play Fortnite. I floss occasionally. But that’s about it. I dab a lot. But that’s it for me. I used to play Fortnite, but then I stopped because it got annoying. Everyone at my school was bugging me about it. You know what that’s like, right? Anyways, guess which Foldo character sings Build Our Machine? Yes. It is the replacement for Yajath’s theme. I decided to scrap that sonh. I meant song not sonh. There is a scene where Yajath and Draw-den Vos attacks Sara and Jacob, with Sara wielding Han Foldo (yeah, Origami Qi’ra is not in this). Sara and Jacob keeping trying to hide from Yajath, and that’s where he starts singing Build Our Machine, since this is a musical. You changed your name again? I DO know what that’s like. I really want the limo to be a NIGHT thing in Foldo. I really like the concept of Midnight Wars because it’s about how the gang has an open house that continues for a week, but then comes SLC, who locks down the building, so they must survive together for five nights. Five Nights at McQuarrie’s. Never played that game and never will. Many thing happen like: Falling in love! broken hearts! Betrayal! Coming soon! Do I sing Build our Machine? Sorry. Some of my comments got a glitch for some reason and were labeled as “Old Man Kenobi’s” comments. Anyways, though you probably don’t like FNAF, I thought Five Nights at Freddy’s was a good franchise, and Sister Location was especially creepy. I loved that game. Anyways, yeah. You sing Build Our Machine. Also, most of Foldo takes place in daytime, but fine, all the scenes with Yajath’s Lino will be at night. But, dude. Foldo takes place in an alternate reality. So that means the Midnight Wars Verizon of you is an entirely different version of you. Do what you want with that Yajath. That incarnation of Yajath can be good while my Yajath is bad. Or do what you want. The events of Foldo take place in the main OYEU reality, but are a little bit changed up. Yajath reforms long after Foldo’s events, around the time of Midnight Wars 2. Before that, in the Twilight of the Student, he was still a bad guy. So that means Yajath will at least have to have a minor or supporting role in Twlight of the Student. Or at least be mentioned. So in this way, Yajath can be good.